Mmm. Fried chicken. Don't we all wish we had a photograph commemorating our first encounter with it? Alas, at this point, we've eaten so much of the stuff, we hardly remember when or where that fateful moment even took place. It's a shame, really, and it's something Bianca Garza and her husband, Juan Garcia, decided to do something about when it came to their own children. 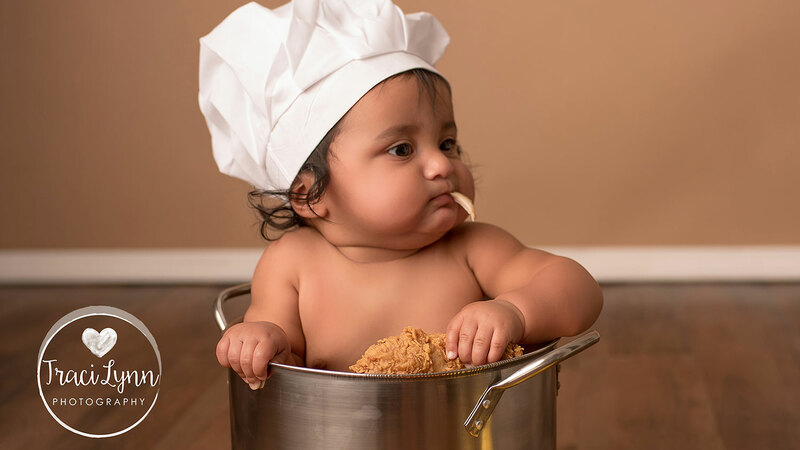 Just this month, they took their 8-month-old to the studio of Mabank, Texas photographer Traci Lynn Fugitt to be sure his love for food was well-documented. Fried chicken wasn't originally in the line-up, actually; little Johnny mainly loves bananas and peanut butter crackers, so those were the first to be included. But at the last minute, his dad got the genius idea to throw some fried chicken into the mix, too. And so it came to be that Johnny got his first-ever taste of fried chicken in front of a camera, under lights, inside a soup pot (? ), wearing a chef's hat, surrounded by bananas and peanut butter crackers. "We all laughed and loved every minute of it," the delighted photographer told TODAY.com. 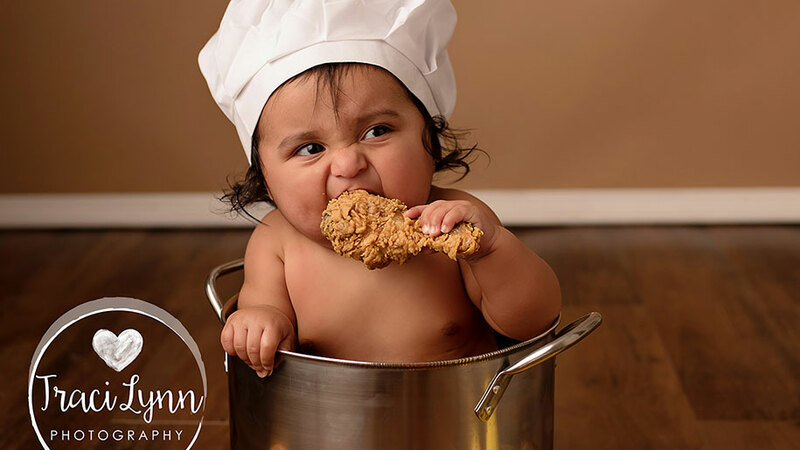 For most 8-month-old babies, who lack a lot of teeth, it'd be difficult to get a good grip on a piece of chicken—let alone manage to bite some off and taste it. But, as Garza went on to explain, this is no ordinary baby: "You'd think he was 3 with all his teeth." As for whether he enjoyed those first few bites of fried chicken? As Johnny's mother added, "When he was trying to eat the chicken, he was smacking his lips." That's a good sign indeed.